Submitted photos Joan Tacy, Mary Higgins and Cindy Stemple were among those who helped serve. 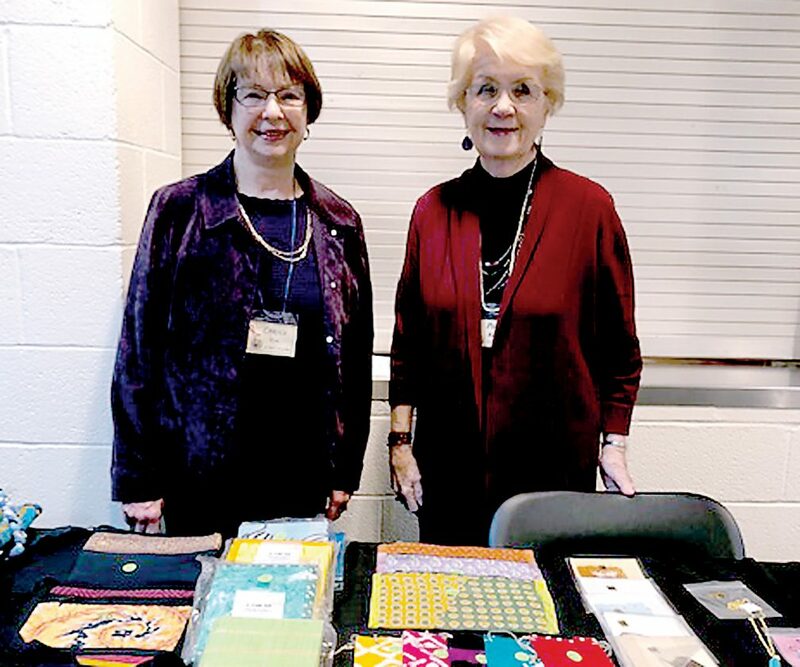 ELKINS — The Woman’s Club of Elkins reaches out to help the local community in several different ways. The women participate in library projects, the Red Cross blood drives, Relay for Life, The Old Brick Playhouse, Girls’ State, Meals on Wheels, Randolph Tucker Child Advocacy Center, student educational opportunities, as well as other programs. 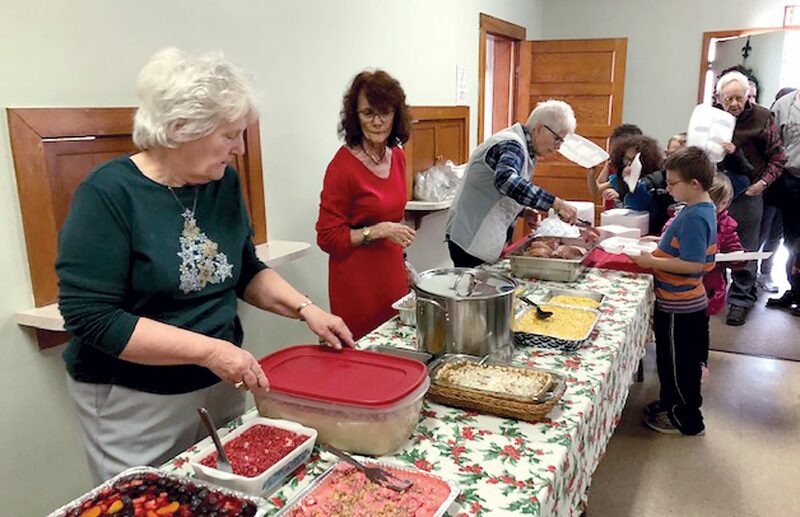 They recently served a free meal to almost 100 guests at Woodford Memorial United Methodist Church. Approximately 25 Club members donated food, money and their time to make the meal a success. A signature focus of the group this year has been the issue of human trafficking, both locally and internationally. 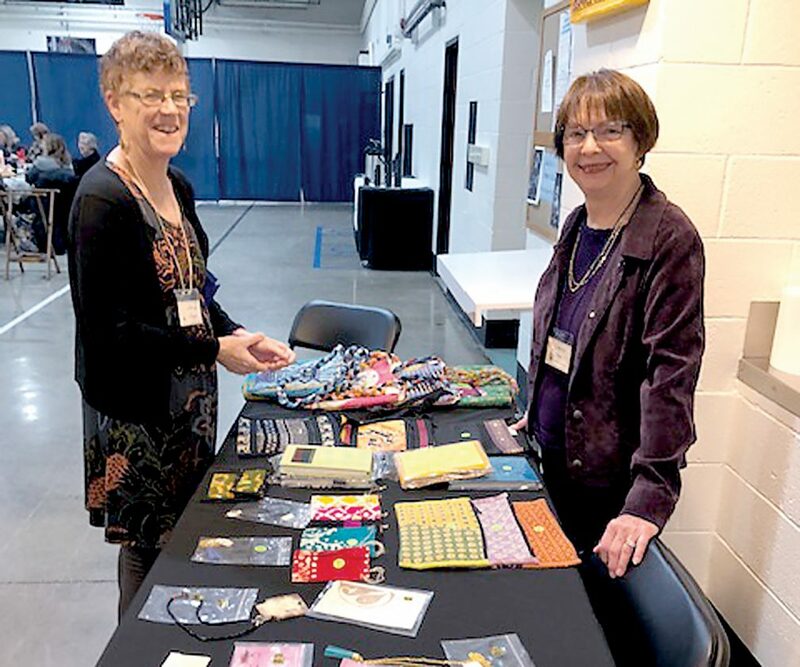 Club members Carol Hyre and Peggy Knutti sold items made by women who have been rescued from human trafficking in India. Among the items sold were beautiful cloth hand bags, purses, journals, jewelry and other items. Dr. Mary Boyd purchasing items from Carol Hyre. 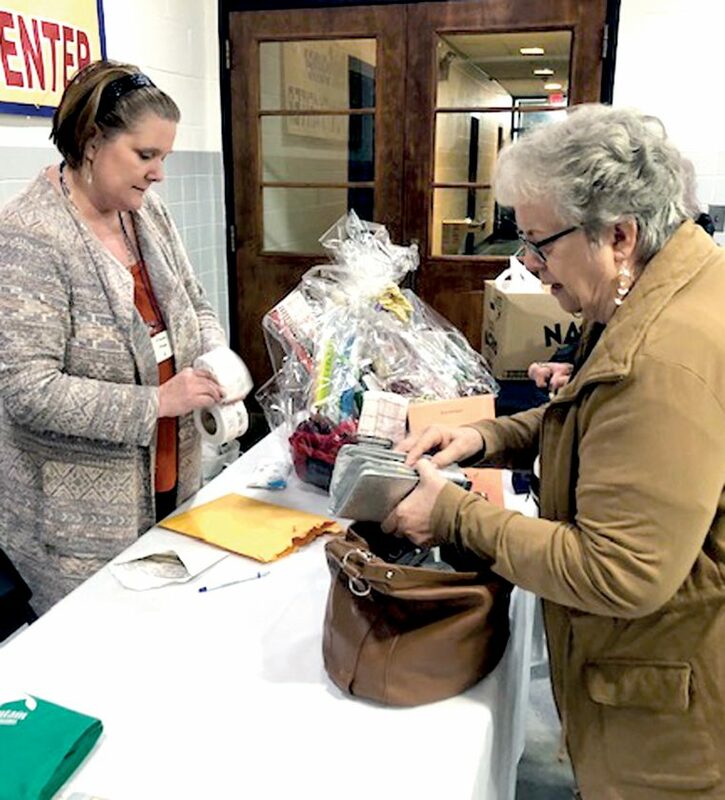 The Woman’s Club also held a kitchen basket raffle with the funds going to the local Women’s Aid in Crisis (WAIC) to help raise awareness of the issue of human trafficking, as well as aid trafficked women who pass through their organization. A presentation on human trafficking will be given at the April Woman’s Club meeting. The Elkins Woman’s Club meets the third Tuesday of every month at 6:30 p.m. at the Phil Gainer Center. For more information, call Woman’s Club President Donna Jones at 304-642-8262 or email her at seibertd64@yahoo.com. Patty Phillips selling a raffle ticket to Nancy White.